40 years after its release William Friedkin’s The Exorcist (1973) still stands apart from all other horror movies. 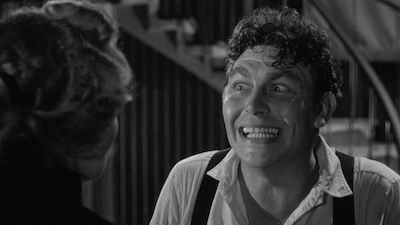 There’s never been a film that has achieved the kind of realistic psychological thrills it contains. That’s why we consider it to be a masterpiece of cinema. Based on a book by William Peter Blatty, the story focuses on a young girl named Regan (Linda Blair) who becomes possessed by an evil spirit in her home. Without any other options, her mother (Ellen Burstyn) must get help from two priests (Max Von Sydow, Jason Miller) who perform an exorcism and try to remove the entity. When they arrive to do their work the diabolical demon battles them by turning Regan into a vessel for its taunting wrath. One thing is for sure, when you experience this film you will never forget it. The Exorcist 40th Anniversary Edition will be released on Blu Ray on October 8th. Get the full details on all the extra features below. A true cinema landmark, the theological thriller is one of the top ten box-office performers of all time. The Exorcist took 10 Academy Award® nominations, including Best Picture, and won two Oscars®, for Best Adapted Screenplay, as well as winning for Best Sound. Subsequently, the film went on to become a multi-million dollar franchise. 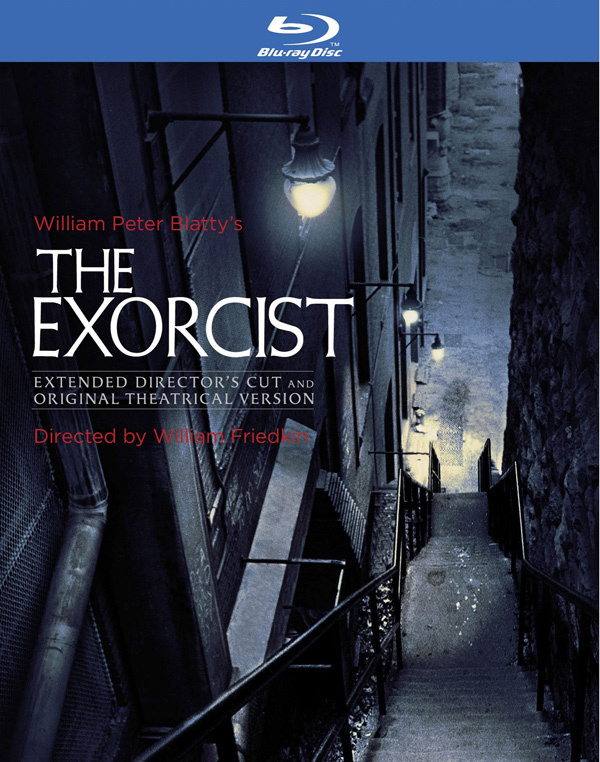 Directed by Friedkin (Oscar®-winner for The French Connection – Directing 1971) and written by William Peter Blatty, the film is based on his best-selling novel, which sold nearly 13 million copies domestically and was the #1 book on the New York Times Best Seller List for 57 weeks, 17 of them at #1. Celebrated for his directorial role in this seminal film, Friedkin is still very much in the limelight. His new book, The Friedkin Connection: A Memoir, recently published by HarperCollins, extensively discusses the background and casting of The Exorcist. The Academy of Science Fiction, Fantasy and Horror Films will honor Friedkin this month with their Lifetime Achievement Award for his continually influential work in genre entertainment at this year’s Saturn Awards. In August, Friedkin will receive the Golden Lion for Lifetime Achievement at the 70th Venice International Film Festival, where he will present the restored version of Warner Bros.’ Sorcerer. And Friedkin and author Blatty will attend a special 40th Anniversary screening of their film at the Smithsonian in Washington,D.C. on October 30. The film will also have an exclusive theatrical engagement October 31 through November 7th at the AMC Georgetown. – Beyond Comprehension: William Peter Blatty’s The Exorcist (NEW) 40 years after his novel was published, The Exorcist author, screenwriter and producer returns to where it all began. First stop is a cabin/guest house in the hills of Encino, California, where Blatty wrote the novel. The author visits the place for the first time in 40 years and shares not only memories of writing the book, but also discusses how it inspired him. We then meet Blatty in two key and iconic locations; Georgetown University where the film was shot, and at the now-famous Exorcist steps. Throughout, Blatty reads from his novel, including an excerpt from a chilling newly published passage. – Talk of the Devil (NEW) – While at Georgetown University, William Peter Blatty heard about a true case of possession from Father Eugene Gallagher. At the time the film came out, the priest talked at length about exorcism, the true story and about Blatty; this footage is now available for the first time in many years. It is as revealing as it is shocking. – Raising Hell: Filming the Exorcist Set footage produced and photographed by Owen Roizman, camera and makeup tests, and interviews with director William Friedkin, actress Linda Blair, author/screenwriter/producer William Peter Blatty and Owen Roizman. – The Exorcist Locations: Georgetown Then and Now – Featuring a tour of the iconic locations where the film was shot. – Faces of Evil: The Different Versions of The Exorcist — with director William Friedkin and author/screenwriter/producer William Peter Blatty discussing the different versions of the film and featuring outtakes from the film.